DF_Language scans your projects for any properties of controls and belong all source code. 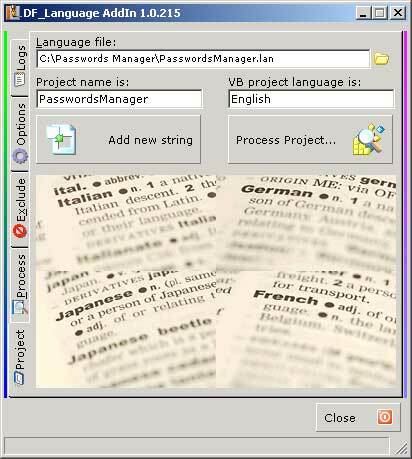 A simple text file (.lan) is created and can be edited for adding new languages. In matter of minutes your software is ready for multi languages support. You may distribute the language files editor for free, so you partners can add other languages and send them back to you: you are now ready for integrating it into your distribution without applying modifications to your source code: just deploy new language file! DF_Language supports all type of controls, even user controls!